Preview Goodies from the NEW Catalog! I finally got a moment to put together some fun birthday cards with my new Swirly Bird Bundle. 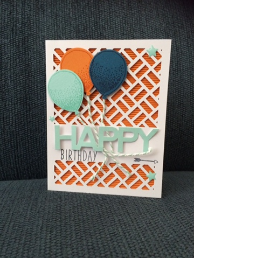 I can't get enough of the 'wavy' diecut in the background! I've used it like a vine below, but I've noticed other creative souls are using it as water or a musical staff. It's versatile, that's for sure! These colors are from the new in colors available June 1st! I've used Flirty Flamingo, Peek-a-boo Peach and Emerald Envy. My white matt is the heavy white cardstock, which I ran thru the Softly Falling Embossing Folder that is carrying over to the new catalog - yippee! Do you want to make fun, playful cards like this? Let me know! Message me and tell me what you want to see and I'll produce it and post instructions, or we can put together a fun party and make it together with your friends! Post below and let me know what other colors would be fun for this layout or card! I love to hear from you! I'm thinking my next post will be a 3-D gift bag item that I came across that is easy to make but looks oh so awesome! Let me know what you think, and have a crafty kind of day! 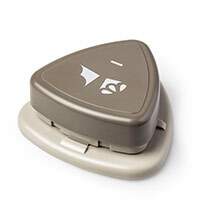 Item #139683, $20.00 is a great price to get 3 punches! I'll be back soon with a fun card to show you that I'm making with my pre-order items from the new catalog that launches June 1st! See you soon! It's been awhile ... but it will be more often!!! Hellooo my friends and visitors! I love that you came by to see what I'm up to and what my beloved Stampin' Up! has to offer these days! Well, let me tell you. I'm working less hours in my 'other' job. Hurray! More crafting time and more time that I can spend with all of you. I'm pretty stoked about that, especially with the new annual catalog coming out! We have SO much going on.... retiring items, clearance rack, and the Occasions and 2015-2016 Annual Catalogs are soon to expire! 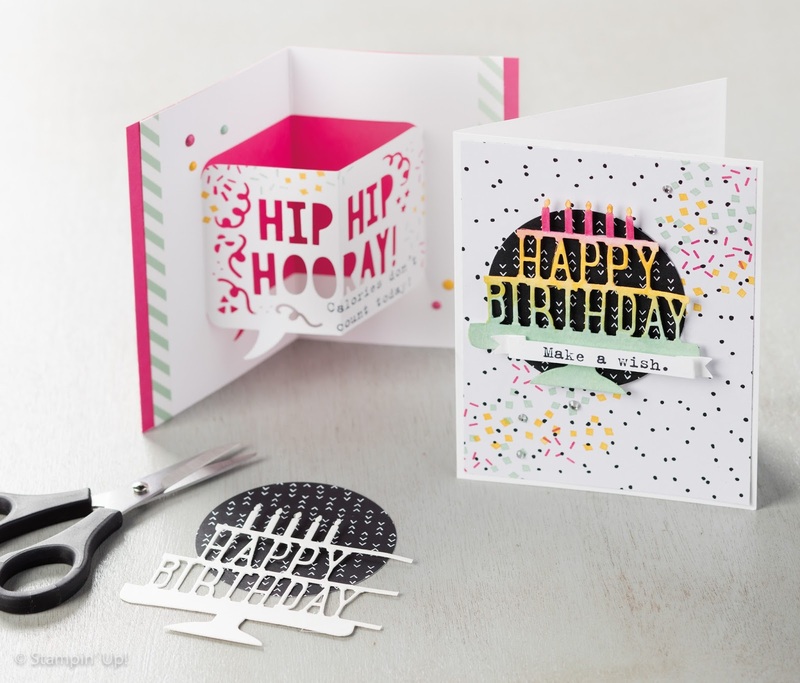 All you need to make this eye-catching card is the Party Pop-up Thinlits Dies, which can be bundled with the Party with Cake Stamp set! 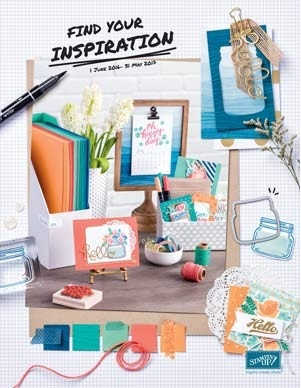 Add a circle of some Everyday Chic Designer Series Paper, Whisper White and Melon Mambo paper, and some ink, and you have this cute card as well as many future options! Item numbers are 138445, 115320, 140272, and the bundle of stamp/dies is 140814. Have fun with this awesome set and send me a message or post with what you've made! My next post will be about the past month's Paper Pumpkin bonus - an awesome stamp set that we all received as subscribers... for free! I had so much fun making Mother's Day Cards with them.... watch for my next post!